New York: Harry N. Abrams Book. Near Mint. Original Cloth. 1st Edition. 4to/folio. 130 reproductions with 56 in large full colour. Exploring the evolution of Turner's style and vividly recounts the artists' life. All of our books are in the shop, and are 'real' books. We try to post the same day as the order. Descriptions are conservative. Postage rates may be lower than ABE estimate, please use Ask Bookseller a Question to confirm availability and postage cost, use [Ask Bookseller a Question] option below to confirm availability and get accurate postage quote for this item (the amount quoted is for an 'average' hard-cover book of up to 1kg in weight). Saint - Denis, 1989. Book. Illus. by Serge Gelabat and Roland Benard. Fair to Good. Original Binding. 1st Edition. Folio. A photographic jouney around Saint-Denis. Beautiful photographs - full size. All of our books are in the shop, and are 'real' books. We try to post the same day as the order. Descriptions are conservative. Postage rates may be lower than ABE estimate, please use Ask Bookseller a Question to confirm availability and postage cost, use [Ask Bookseller a Question] option below to confirm availability and get accurate postage quote for this item (the amount quoted is for an 'average' hard-cover book of up to 1kg in weight). The Sketches of Turner, R. A.
London: Barrie & Jenkins, 1975. Book. Very Good. Original Binding. Reprint. 4to. 1802-1820: Genius of the Romantic. Nearly 450 reproductions of sketches. All of our books are in the shop, and are 'real' books. We try to post the same day as the order. Descriptions are conservative. Postage rates may be lower than ABE estimate, please use Ask Bookseller a Question to confirm availability and postage cost, use [Ask Bookseller a Question] option below to confirm availability and get accurate postage quote for this item (the amount quoted is for an 'average' hard-cover book of up to 1kg in weight). NSW: Paul Hamlyn, 1970. Book. Good. Original Binding. Reprint. 4to. Over 450 illustrations including many colour plates of well known potters work. A series of clear step-by-step photographs show every stage of making pottery. All of our books are in the shop, and are 'real' books. We try to post the same day as the order. Descriptions are conservative. Postage rates may be lower than ABE estimate, please use Ask Bookseller a Question to confirm availability and postage cost, use [Ask Bookseller a Question] option below to confirm availability and get accurate postage quote for this item (the amount quoted is for an 'average' hard-cover book of up to 1kg in weight). Indian Sculpture. Masterpieces of Indian, Khmer and Cham Art. London: Hamlyn, 1970. Book. Very Good. Original Cloth. Revised Edition. Large 4t0. The introduction gives a brief but concise outline of the background of these masterpieces. A list of notes to the plates provides detailed information on each piece of sculpture. All of our books are in the shop, and are 'real' books. We try to post the same day as the order. Descriptions are conservative. Postage rates may be lower than ABE estimate, please use Ask Bookseller a Question to confirm availability and postage cost, use [Ask Bookseller a Question] option below to confirm availability and get accurate postage quote for this item (the amount quoted is for an 'average' hard-cover book of up to 1kg in weight). London: Thames & Hudson, 1968. Book. Good,some Foxing. Original Binding. 2nd Edition. Large 4t0. 17 colour plates, 78 monochrome plates, 21 line illustrations. A comprehensive, fully documented history of printmaking from its medieval origins until the present day. Book also contains valuable information on what constitutes an original print, reference works and catalogues, publishers and printers, collectors and collections and print societies and exhibitions. All of our books are in the shop, and are 'real' books. We try to post the same day as the order. Descriptions are conservative. Postage rates may be lower than ABE estimate, please use Ask Bookseller a Question to confirm availability and postage cost, use [Ask Bookseller a Question] option below to confirm availability and get accurate postage quote for this item (the amount quoted is for an 'average' hard-cover book of up to 1kg in weight). New York: Galahad Books, 1989. Book. Very Good. Original Binding. Translated Edition. Large 4t0. Scarce. With 154 illustrations including 45 full colour plates. Translated from French by John Sheply. Detailed commentaries on individual paintings. A selection of graphic works, a chronology of events and exhibitions and a selected biography. All of our books are in the shop, and are 'real' books. We try to post the same day as the order. Descriptions are conservative. Postage rates may be lower than ABE estimate, please use Ask Bookseller a Question to confirm availability and postage cost, use [Ask Bookseller a Question] option below to confirm availability and get accurate postage quote for this item (the amount quoted is for an 'average' hard-cover book of up to 1kg in weight). New York: E. P. Dutton, 1978. Book. Illus. by John G. Ross. Very Good. Original Binding. 1st Edition. Sq 4to. Dividedinto 2 sections. 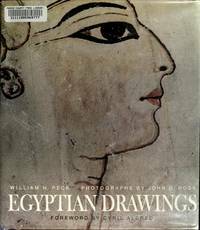 The first deals with the historical development of the drawings, and the tools, theories and techniques used. The second, consists of a superb collection of illustrations, many in colour. All of our books are in the shop, and are 'real' books. We try to post the same day as the order. Descriptions are conservative. Postage rates may be lower than ABE estimate, please use Ask Bookseller a Question to confirm availability and postage cost, use [Ask Bookseller a Question] option below to confirm availability and get accurate postage quote for this item (the amount quoted is for an 'average' hard-cover book of up to 1kg in weight). SA: Griffin Press Book. Near Mint. Original Binding. 1st Edition. 4to. Anatomical drawings from the royal library of Windsor Castle. All of our books are in the shop, and are 'real' books. We try to post the same day as the order. Descriptions are conservative. Postage rates may be lower than ABE estimate, please use Ask Bookseller a Question to confirm availability and postage cost, use [Ask Bookseller a Question] option below to confirm availability and get accurate postage quote for this item (the amount quoted is for an 'average' hard-cover book of up to 1kg in weight). New York: Harry N. Abrams, Inc., 1979. Book. Very Good. Original Binding. 2nd Translated Edition. Large 4t0. A guide to pre-colombian, north american indian, african and oceanic primitive art. With selected biographies and index. 564 illustrated, 302 in full colour. 7 maps and 2 charts. All of our books are in the shop, and are 'real' books. We try to post the same day as the order. Descriptions are conservative. Postage rates may be lower than ABE estimate, please use Ask Bookseller a Question to confirm availability and postage cost, use [Ask Bookseller a Question] option below to confirm availability and get accurate postage quote for this item (the amount quoted is for an 'average' hard-cover book of up to 1kg in weight). Conneticut: New York Graphic Society, 1967. Book. Very Good. Original Binding. 1st Edition. Square. Paleolithic painting and sculpture. 56 colour plates, 104 black and white illustrations, 6 maps. Grand describes, compares and traces the influences of the stryles and the apparent purposes of rock painting and carving of Africa and Australia. All of our books are in the shop, and are 'real' books. We try to post the same day as the order. Descriptions are conservative. Postage rates may be lower than ABE estimate, please use Ask Bookseller a Question to confirm availability and postage cost, use [Ask Bookseller a Question] option below to confirm availability and get accurate postage quote for this item (the amount quoted is for an 'average' hard-cover book of up to 1kg in weight). Leningrad: Aurora Art Book. Very Good. Original Binding. 1st Edition. 4to. Comes in rough card presentation box. A brief biography of one of the most influential painters of Russia, with full colour reproductions of paintings. All of our books are in the shop, and are 'real' books. We try to post the same day as the order. Descriptions are conservative. Postage rates may be lower than ABE estimate, please use Ask Bookseller a Question to confirm availability and postage cost, use [Ask Bookseller a Question] option below to confirm availability and get accurate postage quote for this item (the amount quoted is for an 'average' hard-cover book of up to 1kg in weight). NSW: Child & Assoc., 1988. Book. Very Good. Original Cloth. 1st Edition. 4to. Complete with origins and history, explaining all the technicalities in careful detail and easy to understand language. All aspects of heraldry dealt with, complimented with superb blackand white illustrations. All of our books are in the shop, and are 'real' books. We try to post the same day as the order. Descriptions are conservative. Postage rates may be lower than ABE estimate, please use Ask Bookseller a Question to confirm availability and postage cost, use [Ask Bookseller a Question] option below to confirm availability and get accurate postage quote for this item (the amount quoted is for an 'average' hard-cover book of up to 1kg in weight). Canberra: Australian Art Library, 1981. Book. Very Good. Original Cloth. 1st Edition. 4to. Limited number of copies - 1527/1750. A comprehensive catalogue of all of the paintings exhibited in the gallery at the appointed time. All of our books are in the shop, and are 'real' books. We try to post the same day as the order. Descriptions are conservative. Postage rates may be lower than ABE estimate, please use Ask Bookseller a Question to confirm availability and postage cost, use [Ask Bookseller a Question] option below to confirm availability and get accurate postage quote for this item (the amount quoted is for an 'average' hard-cover book of up to 1kg in weight). London: The Folio Society, 1971. Book. Good, Foxed and Old Looking. Original Binding. 1st Edition. 4to. Selected and introduced by Philip Troutman. Colour and black and white paintings, dawings and sketches. All of our books are in the shop, and are 'real' books. We try to post the same day as the order. Descriptions are conservative. Postage rates may be lower than ABE estimate, please use Ask Bookseller a Question to confirm availability and postage cost, use [Ask Bookseller a Question] option below to confirm availability and get accurate postage quote for this item (the amount quoted is for an 'average' hard-cover book of up to 1kg in weight).